GirlznDollz Soft Cuddly Doll Giveaway! How awesome for a company to embrace the individuality of everyone! I think it is time for more companies to get this message. These dolls are everything we always want to be from the purple hair to the pink striped stockings, we all want to be a little more individual! These dolls are perfect for under your tree! 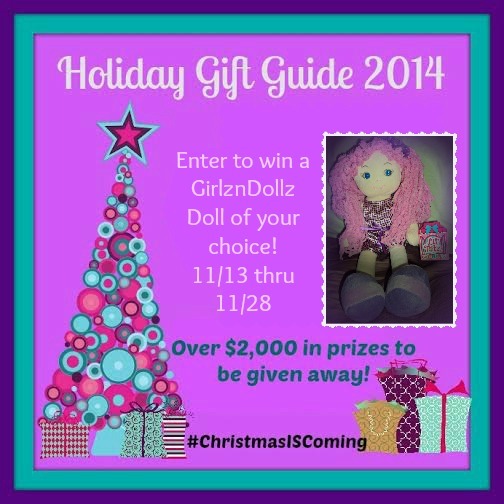 Girlzndollz is giving away to one lucky reader the doll of their choice for our Holiday Gift Guide. The Kid’Sleep Moon has 3 settings for nighttime, nap and weekend, 4 choices of alarm sounds (or the choice of no alarm), and 4 levels of brightness to choose from. 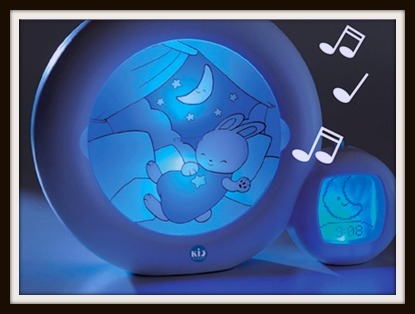 The Kid’Sleep Moon helps children fall asleep with 4 different choices of lullabies. It also offers the Smart Sunset “Go To Sleep” function and the Smart Moon set “Wake-Up Process”, which gives kids a 10 minute warning for sleep time and get up time! It even has a new menu for very easy setting! This is a fabulous gift for toddlers! There are a lot of gifts out there that will be played with for a few days or weeks and then set aside to not played with again, this can be used daily. It is almost more of a gift for parents then it is for kids, but I think your little one’s are going to love it. 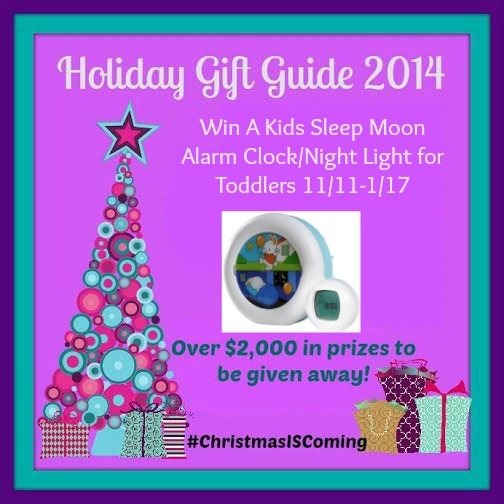 Kid Sleep Moon is giving away one of their clocks and they are just so adorable! 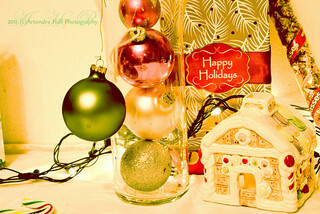 Holiday Shopping Made Simple with MyRegistry.com! I don’t know if you are like me, but I am pretty difficult person to buy for when it comes to birthdays and the holidays. I just do not like the things that most moms might like. I don’t like make up, not into perfume soaps and bubble baths, but if you could find me a great plant for my yard, I would be ecstatic! I know you must have someone in your family like that. Just think if it was like buying for a new mom or a newlywed couple, you could have a registry to go to and get what everyone wants without guessing on sizes and colors, or even styles, does Suzie have an iPhone or a Samsung? 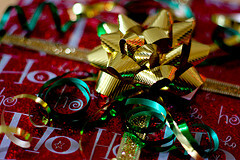 Gifts are more than just things, they are the way we show our love and our affections towards someone, and to buy something they are going to love is important, it is even more important to those with small children, everyone has their own idea about what is good and what is bad and what they want their children to have to play with. 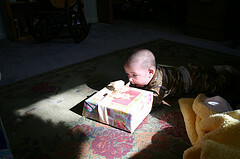 Myregistry.com has solved this problem, they have a great service for any occasion, including the holiday season. How fun is it for children to look and add things to their own lists, they love it so much to be able to shop too. I know if you have a mother in law anything like mine a list would be so great, as much as I love her, I don’t know what she is needing or wanting, MyRegistry.com makes this so easy for everyone. Some may not think it is not polite to ask for things, but coming from a mothers, and a grandmothers point of view, please make us a very detailed list and help us buy something that you want, we really do want your help and enjoy knowing that what we got you is exactly what you want and that you are not going to have to stand in line after the holidays to have to return it. A holiday wish list is all-inclusive. You can add items from any store in the world onto one list and share it via numerous social media platforms, e-cards or a just simple link, how awesome is that! I love that you can use any store you want, it does not all have to be purchased in one place. This idea has been a long time coming and I think embracing it is going to make my holiday shopping so much simpler. Check out MyRegistry.com and make yours simple too! This post was written in cooperation with MyRegistry.com, however all of the opinions are 100% my own! Bloominous DIY Flowers are just so neat! They have taken flower arranging and made it so much easier for those of us that cannot arrange flowers! I love the look of flowers and it seems like something I would enjoy doing, but honestly sometimes matching my clothes is difficult for me. Bloominous makes all of that just not matter! They have taken all of the guess work out of the designing flowers. They have experts that design collections that are not only beautiful, but also really easy to arrange. 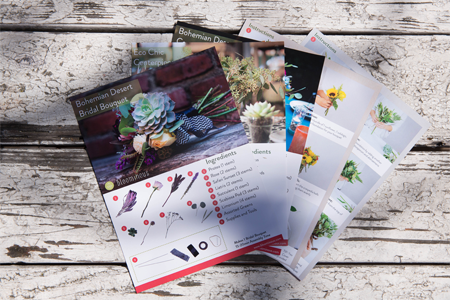 The flowers come straight from the farm, ensuring your stems are fresh and cut-to-order. 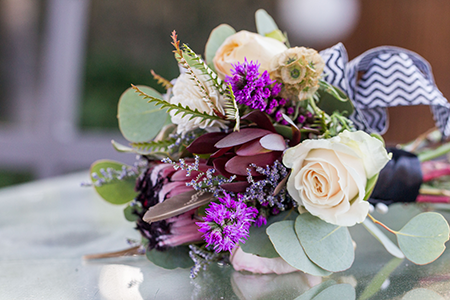 It’s not just flowers – it’s the whole look, and you can find it all . They dethorn and preportion your flowers to save you time – you just have fun. Step-by-step pictorials make it easy to build a beautiful piece in just 15min. The carefully package and ship by Air to ensure freshness. They offer four trial packs for you to check out how the whole thing works. It is a lot like paint by number but, with flowers. Check out the Bloominous site and see what they have. It might be just perfect for you! Tales From A Southern Mom was so lucky to be able to review and work with products developed by Palmetto Derma. They sent me their Retinol & Peptide Infused Lifting Eye Cream. I used this cream nightly for a good month and I have to say that my eyes look brighter and smoother and not so droopy.I am not going to sit here and tell you all it was a cure-all, but it helped so much. The cream made my eyes feel firmer and not baggy and wrinkled. When I put it on at night after cleansing it was a treat to my eye area as well as my whole face, it felt like a smooth mousse like texture in my hands and absorbed instantly. I did not have a sticky, wet feeling on my face or in my eye area after using it. Most night creams I have used usually leave me feeling a little sticky.I used this on my whole face and it really did bring a lift to my whole face it was very smoothing throughout. I really loved the texture, the way it was absorbed by my skin and the overall improvement in the way my skin looked. The formula has a combination of ocean based Retinol, and fruit based glycollic Acid to help firm and repair your skin around your eyes. It also includes botanical, pure plant oils, organic vitamins and minerals leaving your skin feeling amazing!I really appreciated that this product was 97.5% Naturally Derived & 70% Organic, those things are very important to me and they really should be to everybody. Most of us do not realize that our skin absorbs all of the chemicals that we put on it. As our body’s largest organ it is important to use good things on your skin, especially your face. 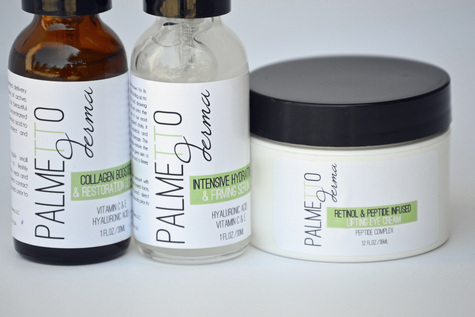 Palmetto Derma was founded with roots to help bring strength and beauty to your skin, and they have made a commitment to great products. Not too many companies can say that about their products and if they can they usually are not able to say it about ALL of their products. I loved this eye cream, I loved it on my eyes, my face and under my make up. It felt fabulous going on and it did fabulous things for the way my skin felt. You can follow Palmetto Derma on Facebook, Instagram, Pinterest, and Twitter. 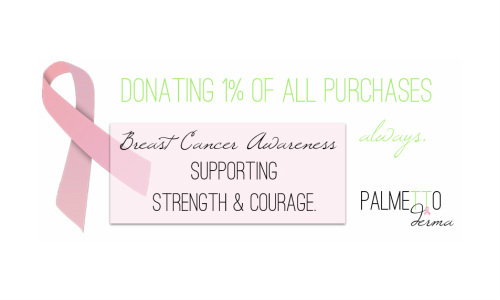 The company Palmetto Derma also donates 1 percent of each purchase to Breast Cancer Awareness! A cause near and dear to me. Have a look at their products here! I hope you give them a try, I really think you will like them as well. 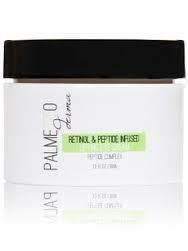 For our readers Palmetto Derma is sponsoring a giveaway of this eye cream!